Data collection is just the start—the Imaging Facility provides a full data storage and analysis resource for its scientists. Imaging experiments are quantitative assays, so expertise in computational data analysis is a critical component of the Dundee Imaging Facility’s capabilities. Dundee’s Life Sciences Computing resource provides all aspects of data storage, archive, back-up and processing, based on clustered filesystems and hierarchical storage facilities. Several labs use Dundee’s OMERO server to store, manage and analyse their large imaging datasets. These resources guarantee data provenance, so that Dundee’s scientists can always access their imaging data, regardless of the size, complexity, or even time passed since data acquisition. We have a suite of 7 high performance PCs running a range of commercial and open source software supported by a Scientific Officer for Image Analysis. Funded by our MRC Next Gen Optical Microscopy Award, Dr Graeme Ball leads our image analysis capability. Scientists who use imaging can access world-class expertise to identify existing analytic tools available in either the open source or commercial domains, or if necessary develop custom tools for analysis using the latest platforms and technology. Our Image Analyst supports several complementary software platforms (Fiji/ImageJ, OMERO, Imaris, Volocity, CellProfiler, RStudio) and provides expertise in many different analysis frameworks (including Java, Python, Matlab and R). 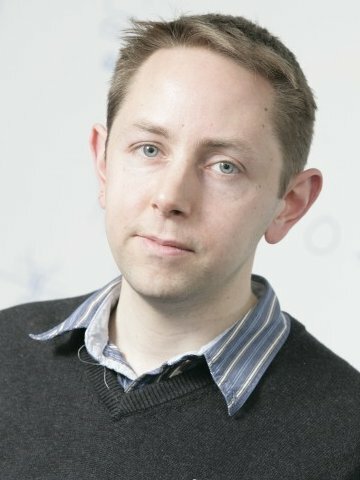 "I am a Data Scientist specialising in image data processing and analysis for the life sciences: Bioimage Informatics is a relatively new field in computational biology, combining techniques from the more mature disciplines of medical image analysis and bioinformatics with extensive domain knowledge about the various imaging modalities used in the life sciences."